Video installation Lập Lòe (2012), and Steam Rice Men (part of the Mao Khe Coal Mine Project) (2001), digital prints with video. Courtesy the artist. Tran Luong, Steam Rice Men (2001). Digital print. Courtesy the artist. Tran Luong (born 1960 in Hanoi, Vietnam) is a resilient performance and visual artist and independent curator, key player in advancing critical contemporary art in North Vietnam. He has founded numerous spaces for alternative art and collaboration. He served as the director of the Institute of Contemporary Art in Hanoi and was a founding member of the neo-Expressionist painter group Gang of Five. His works engage in the worker class and problems from his nearest surroundings, as well as in the changes of society. 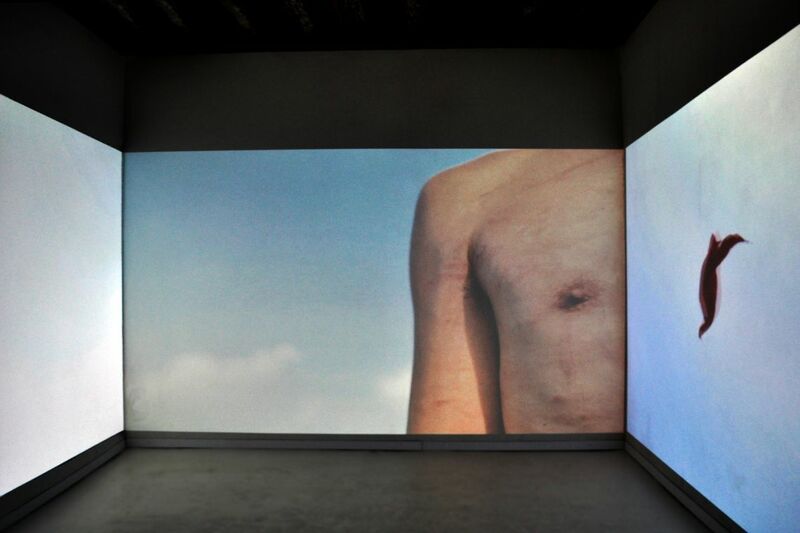 The video installation Lập Lòe (2012) is derived from a performance that began in 2007, inspired by his son wearing a red scarf. The artist invited audiences at his first performance in China to snap a red scarf—an item of historical and political significance associated with communism—against his body. Steam Rice Men (part of the Mao Khe Coal Mine Project) (2001) is shown as digital prints with video. For the Coal Mine Project, a number of artists spent a day in the mines of the Mao Khe district in North Hanoi. On this occasion, Tran Luong performed Steam Rice Man: he was covered in black dust, barely visible beneath a layer of white sticky rice. 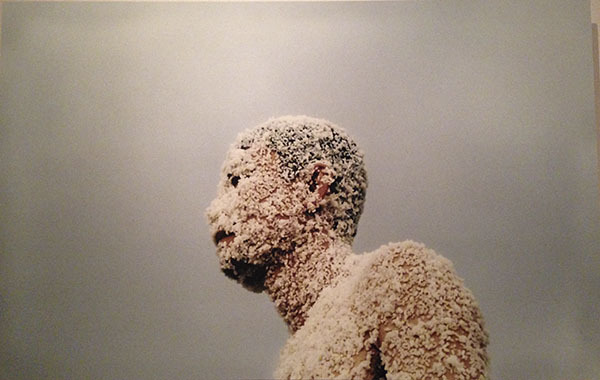 The performance paid homage to the time it takes to "grow" a lump of coal compared to a lump of rice.